At the beginning of April, when all the cherry blossoms are in full bloom, Tokyo always has me seeing pink. 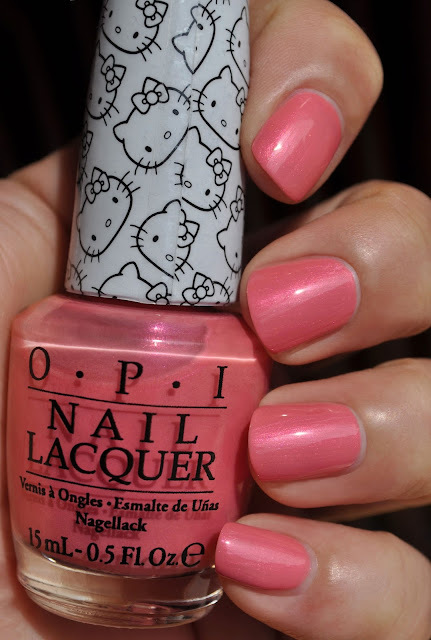 And for this year's Hanami (flower viewing), I specifically bought "Sitting Under Cherry Blossoms" from the Hello kitty by O.P.I. Spring Collection. Of the four polishes belonging to the Collection, Sitting Under Cherry Blossoms is my favorite; a warm, yellow-based, deep sakura pink that is littered with fine, minuscule soft fuchsia and golden sakura pink shimmer. The soft fuchsia and golden sakura pink Shimmers compliment the sakura pink beautifully, giving it a charming uniqueness. Sitting Under Cherry Blossoms' crelly formula is extremely thin and sheer. This lacquer looks stunning worn sheer, layered over other shades or built up to achieve a solid hue. Nevertheless, you'll need about five coats to completely conceal the nail line. I've worn Sitting Under Cherry Blossoms several times now, and it's gone a full four to five days without any incidents. What O.P.I Nail Lacquers are you loving this Spring? 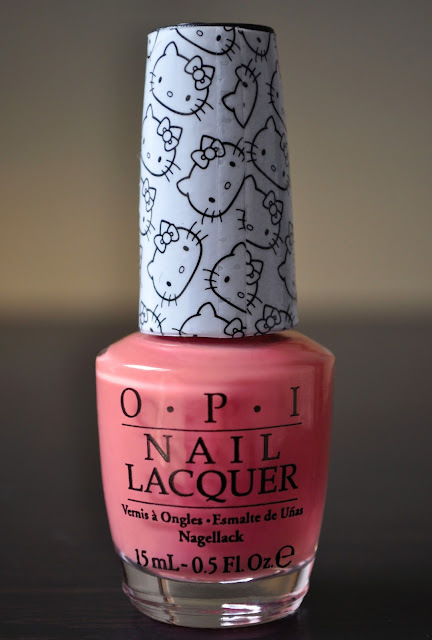 I picked this up also (the name, colour, and Hello Kitty were the ultimate combo for me, haha) but I've been wearing Starry Eyed for Dear Daniel which is the fuchsia with shimmer. Isn't it pretty! I heart this color. If you can find this color, I definitely recommend it! The color vombo of the polish and the shimmers really make this polish standout. A gorgeous shade for spring.